If you’re getting ready to renew under the International Registration Plan (IRP) for 2019, keep some new changes in mind for the registration and enforcement process. It’s important that you’re up to date on everything that’s changed, and we want to help you be prepared for any changes coming your way. Here’s what to expect for this coming year and how it could affect your trucking company. Police officers in Utah and other states are now using plate scanners to get information about your truck registration, making it much easier to get a violation for not keeping up on any necessary registrations. 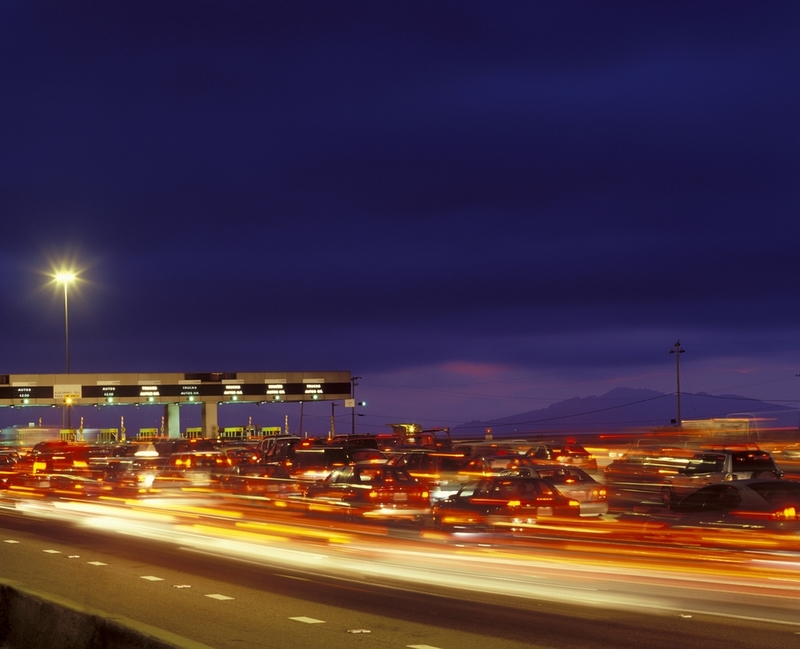 Some systems can scan 1,800 license plates per minute for cars and trucks going up to 150 mph in the opposite direction. Similar to the technology used at toll booths, your license plate can be quickly scanned, and information under your trucking company can be seen at a glance by police officers who are enforcing Federal Motor Carrier Safety Administration’s (FMCSA) regulations. These scanners can be installed on light posts, the dashes of police officer’s cars, construction cones, and more. While it’s not known what kind of scanners Utah is planning on using, note that scanners are more effective and likely to catch an outdated registration more accurately than relying on roadside inspections. Other states have already implemented these scanners, so it’s important to understand what this means for you and your company, no matter which states you plan on traveling through. We don’t know every instance where this will affect your trucking company, but we know it will impact your truck registration and assume it will also affect your DOT Compliance. Your DOT number is tied to your truck registration and license plate, so enforcement officers will be able to see if you have any of the issues listed just by scanning your truck’s license plate. Utah is changing their decals for apportioned plates. Other states have already started implementing this type of decal for IRP, but it’s now Utah’s turn. Current IRP decals stating the month and the year will be replaced with plates that have the word “APPORTIONED” permanently stamped on them. This change won’t be immediate. 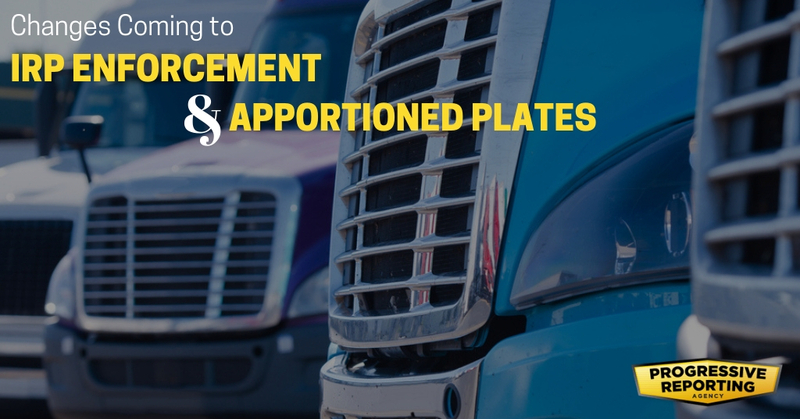 It’s estimated that standard apportioned plates will be issued for the next three to six months. However, the decal sticker for IRP will also reflect these changes until the more permanent apportioned plates are made. Starting this coming year, you will be given a decal with the word “APPORTIONED” that will be placed over expired stickers. While this doesn’t necessarily have a drastic effect on your company, there are a few perks to have “APPORTIONED” already printed on the plate instead of using a sticker. No sticker means you don’t have to worry about the sticker coming off when washing your truck or while driving. Until those plates are printed, regularly check your decal sticker to make sure it’s still legible and firmly attached to your license plate. If it does come off or becomes illegible, contact your state’s Department of Motor Vehicles (DMV) for a replacement. Is Your Company Ready for 2019? While the tracking for IRP has changed, the registration process hasn’t changed. If it’s time for you to renew your IRP registration, make sure to do it before your current registration expires. If your registration is invalid, it’s much more likely your company will be given a violation with the new scanners. If you have questions about the IRP registration process, give us a call! We’d be happy to help you get ready for any changes. IRP stands for the International Registration Plan (IRP) and it’s an agreement among each state in the United States and District of Columbia and some provinces in Canada to fairly spread fees across each state based on the proportion of distance traveled in each state. From there, a fee based on the proportion traveled in each state would be calculated, where each state has a different rate. If you have any questions about how IRP is calculated, give us a call and we would be happy to walk you through how to calculate it. It’s important to get the math right, as it’s easy to accidentally be paying more for the IRP than you have to. When Do You Need to Register for the IRP? When you’re starting your own trucking company that operates commercial motor vehicles that cross state lines. Every year you continue running your company. While the old stickers clearly listed the month and year, the new decals do not have the month listed. Make sure to take note of the month you registered so you know exactly when it’s time for you to renew your registration. If you want to know more about what your trucking company needs to be ready for 2019, don’t hesitate to call us. We can help you stay up-to-date on your registrations to help you avoid any fines and violations.